Attaches directly to sturdy vertical surfaces. Where applicable, install to wood stud. 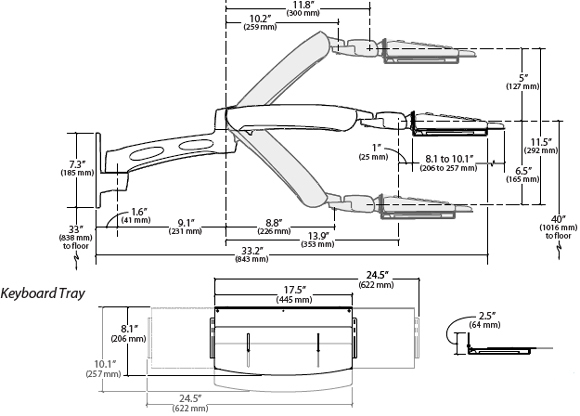 Also attaches to Wall Track using bracket 97-091 (order separately). 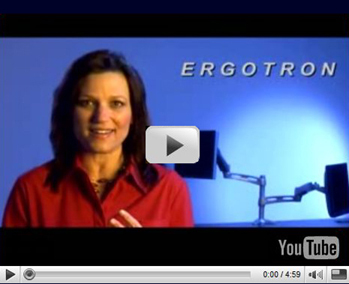 Effortlessly position your keyboard for ergonomic comfort. 25.6" (65 cm) extend/retract motion; 11.5" (29 cm) height adjustment. 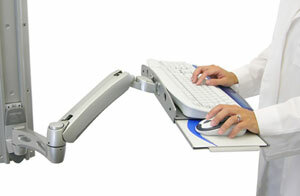 Tray tilts back at negative 5° angle for ergonomic and healthy data entry. 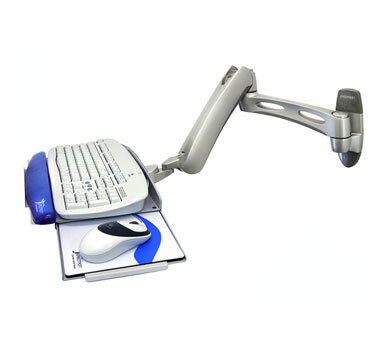 Creates a complete workstation when paired with the LX LCD Arm. 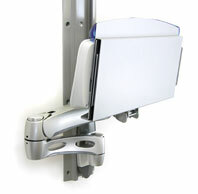 Ideal for space-constrained spaces—folds to within 4.6" of wall in storage position.